Designed for ultra tough outdoor play and priced right! 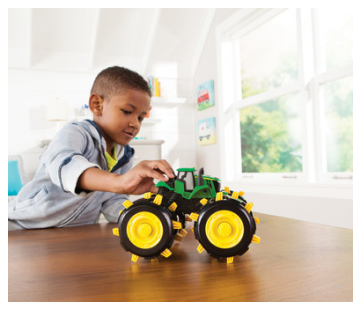 Constructed of durable plastic, this 15” tractor with working loader features an easy to use front bucket with handle; ideal for scooping rock or sand into the 15” Big Scoop Dump Truck! Ages 18m+.